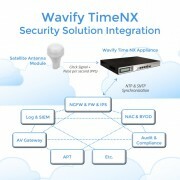 Q1 Labs Emphasizes Security Intelligence to Combat Data and Network Breaches – Throughwave (Thailand) Co.,Ltd. WALTHAM, Mass. – February 11, 2011 – Q1 Labs, the global provider of total security intelligence solutions, today issued guidance for enterprises looking to better protect their networks from threats – both insider and cyber crime – in the wake of the recent report of NASDAQ suffering a network breach. Lack of investment in core information security infrastructure technology, including but not limited to, switches, firewalls, IPS, VPNs, vulnerability scanners, and identity/access management. Lack of sufficient security intelligence on the network. Not properly leveraging the information security technology they already own; this includes having poorly configured network and security devices. Not addressing key vulnerabilities in their infrastructure. Unable to effectively minimize risk because of organizational and/or technology silos. In retrospect, previous high profile attacks such as Stuxnet, the Google breach, Wikileaks, NASDAQ and others are all connected; the key theme is low and slow APTs. These breaches are the driving force for the need for Security Intelligence – the ability to see everyaction taking place on a network. Break down technology silos through the integration and analysis of a broad spectrum of information including network, virtual network, security, vulnerability, asset, application, and configuration data, among others. Bridge operational silos and deliver the most appropriate security functions to meet the requirements of a broad spectrum of users including operators, analysts, auditors, managers, and executives, among others. Have all the contextual information needed to prioritize the risk of a security incident based on the overall impact to the business. Automate the detection and notification of newly introduced risks on the network. Seek to establish an integrated security intelligence framework for assessing risk across all relevant information. For more information and to receive in-depth guidance on how to prevent a breach, click here to download the “Five Practical Steps to Protecting Your Organization Against Breach” white paper from Q1 Labs. Q1 Labs is a global provider of high-value, cost-effective next-generation security intelligence products. 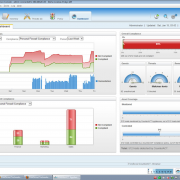 The company’s flagship product, the QRadar Security Intelligence Platform, integrates previously disparate functions – including SIEM, risk management, log management, network behavior analytics, and security event management – into a total security intelligence solution, making it the most intelligent, integrated and automated security intelligence solution available. QRadar provides users with crucial visibility into what is occurring with their networks, data centers, and applications to better protect IT assets and meet regulatory requirements. Q1 Labs is headquartered in Waltham, Mass., U.S.A., and the company’s global customer base includes managed service providers, healthcare providers, energy firms, retail organizations, utility companies, financial institutions, government agencies, and universities, among others. For more information, visit Q1Labs.com, e-mail info@Q1Labs.com, or call 781-250-5800. 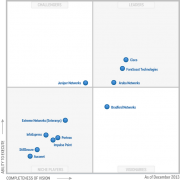 Q1 Labs in Leaders Quadrant of 2010 Gartner SIEM Magic Quadrant Report. 66,000 Students Protected by Q1 Labs’ Security Intelligence Platform Q1 Labs in Leaders Quadrant of 2010 Gartner SIEM Magic Quadrant Report.